Discussion in 'Gear & Equipment' started by Bearitone, Aug 11, 2018. 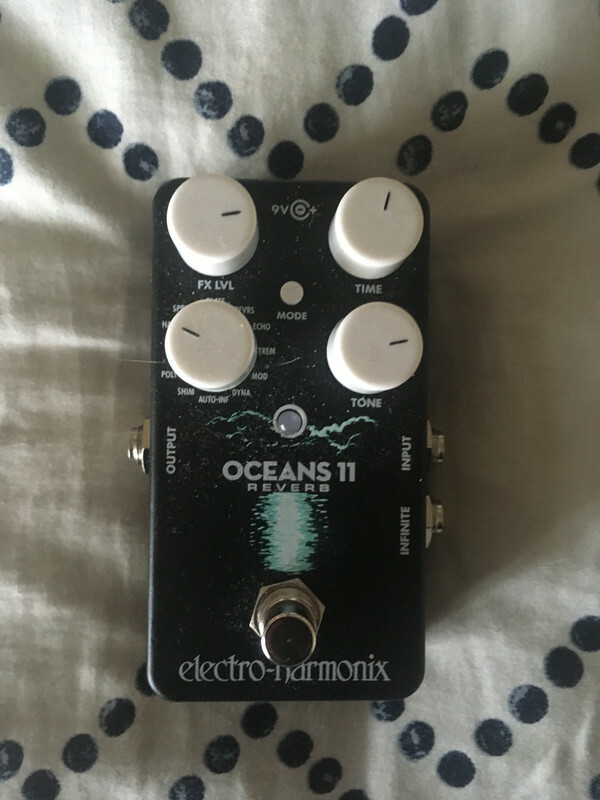 I traded my MXR Reverb for this and don't regret it at all. I traded because the EHX had a lush hall reverb with no modulation which is exactly what I've been looking for. I use this setting almost all the time. I love that I can sweep between full wet and full dry and I love that I can control the pre-delay. I probably won't get another reverb if it doesn't have those features. There are a few really great modes and settings on this thing but, the Hall, Reverse, and Dyanamic green mode (basically a Slow Gear in front of the verb) are my favorite. The Dynamic mode mentioned above is really killer. Whatever DSP is inside is pretty intelligent. It still shaves the attack off of individual notes even when you have a chord ringing out. Everything swells in smoothly even if there's a lot going on. There is SO MUCH packed into this pedal it would take me too long to go over. If you have any questions about a particular mode/setting let me know and I'll give you my honest opinion. Great reverb. Lush Hall setting. More settings than I'll ever use. Great value for what you get. Eventually I'll cave and get a Blue Sky but, this is great for now. Smoked Porter, kevdes93 and The906 like this.